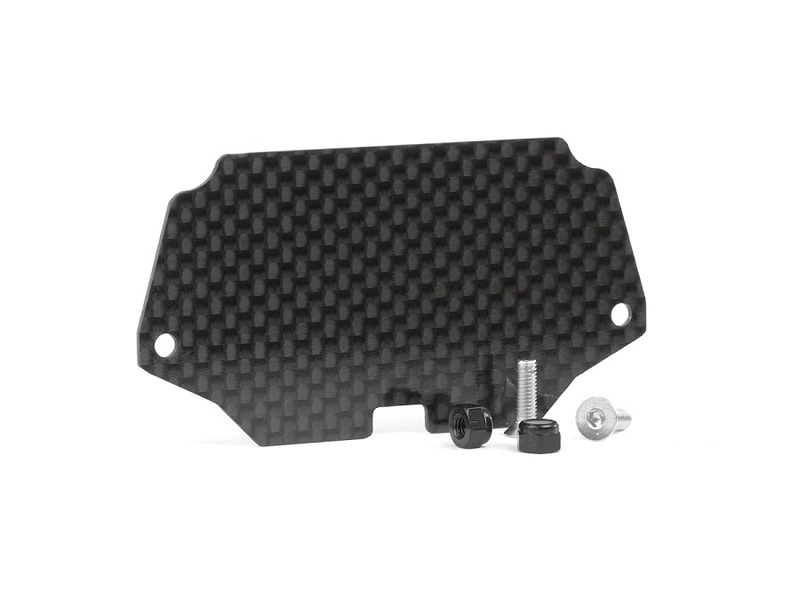 The Avid carbon fiber electronics tray for the TLR 22 4.0 is 1mm thick and an excellent way to remove your electronics without raising the CG or adding much weight at 4.4g. 100% Carbon Fiber, 1mm thick. Includes (1) Carbon Tray, (2) SS M3x10 FH Screws, and (2) M3 Black Aluminum Nuts.